Few desserts scream "summer!" more than tangy, sweet lemon bars. These light and refreshing little treats are the perfect sweet treat for any backyard BBQ or warm weather picnic. 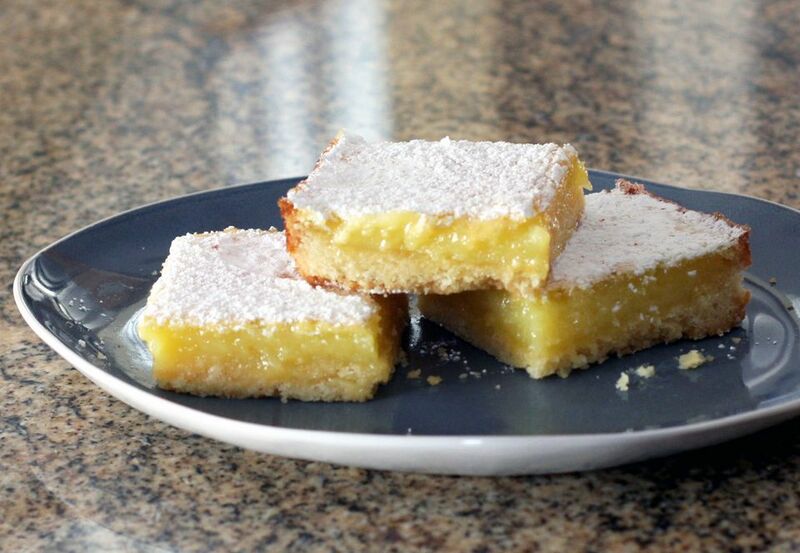 These lemon squares are made with a traditional shortbread crust and a creamy, delicious fresh lemon filling. For the crust, sift 2 cups of flour and powdered sugar together. Cut in 2 sticks of butter until well blended — press mixture over bottom of a 9 by 13 by 2-inch pan. Bake the crust for about 25 minutes, or until lightly browned. Remove the crust from the oven and increase the oven temperature to 350 F.
For the filling, combine 2 cups granulated sugar with the 1 tablespoon of flour, baking powder, salt, eggs, lemon zest, and juice. Blend well. Spread over the top of the baked crust. Bake for 25 to 30 minutes, or until the filling is set. Cool in pan on rack. Sift confectioners' sugar over the bars while still warm.